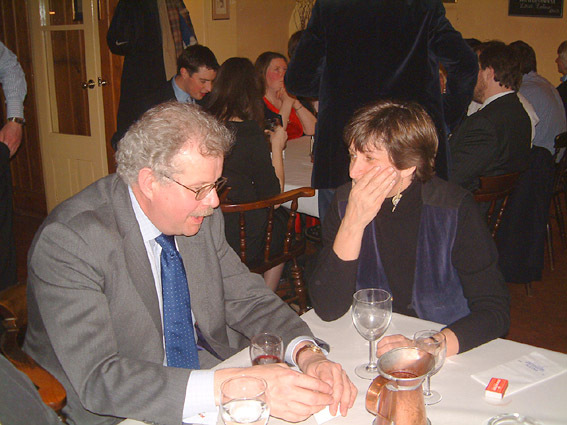 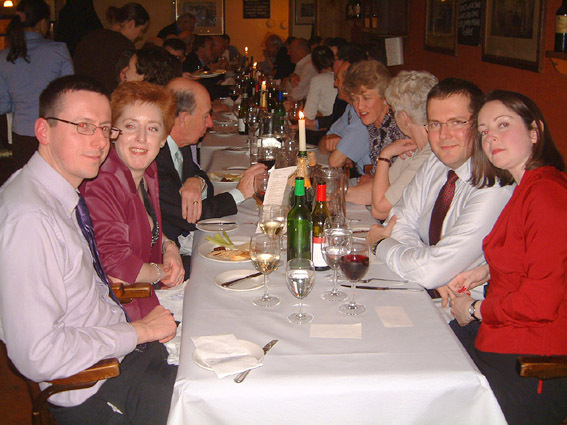 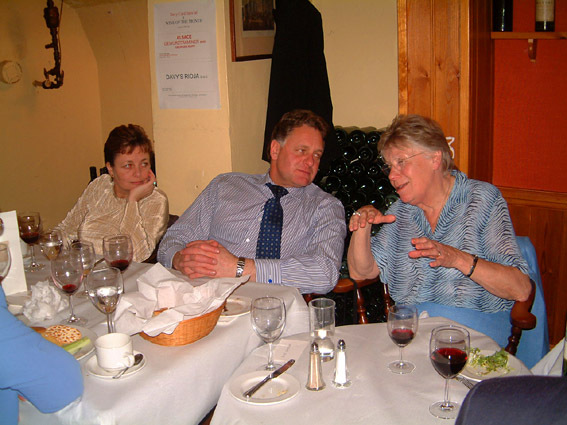 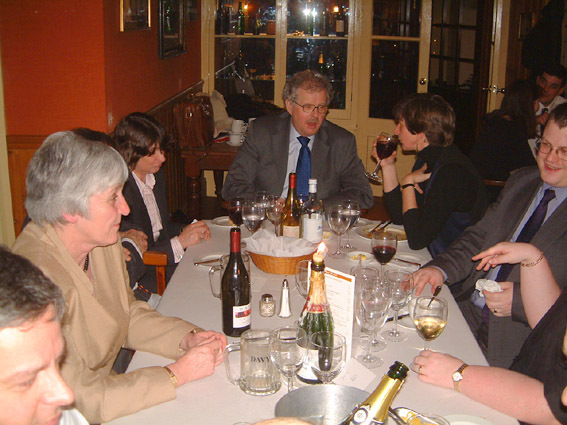 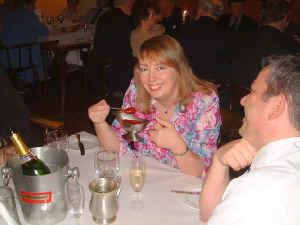 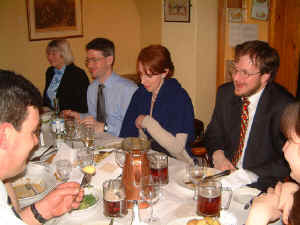 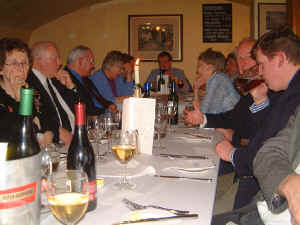 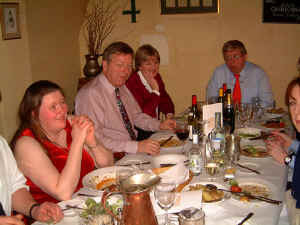 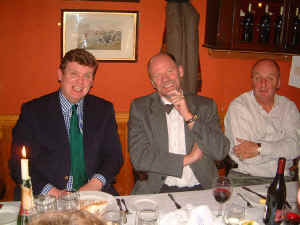 Davy's of Creed Lane was again the setting for a very successful informal dinner. Paul Carless and Eleanor Kippin. 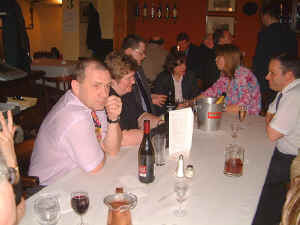 Andrew Graham & Jo Ainsworth opposite Michael Wilby & Vicky Halliwell. 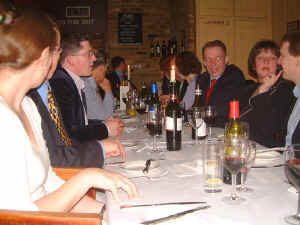 The Secretary at the head of one of the tables. Sauce from Stef Warboys, the Junior Steward. Sara Hardy, Tony Kench, Caroline & David House. Enid Lawson, Iain Anderson, Elva Ainsworth and Jeremy Byers. John White entertains his table. 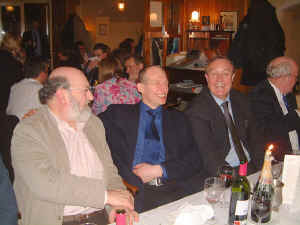 Robert Lewis, Phil Goodyer and Doug Bell. 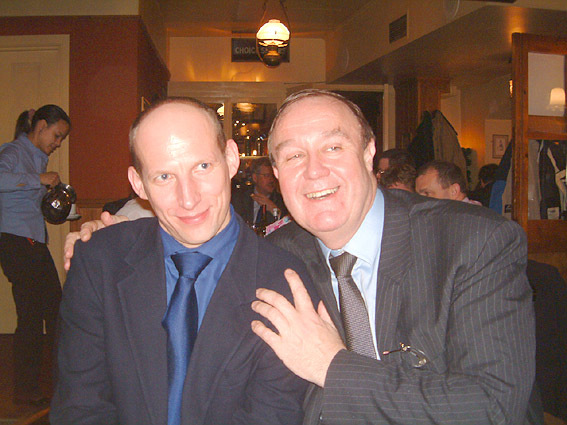 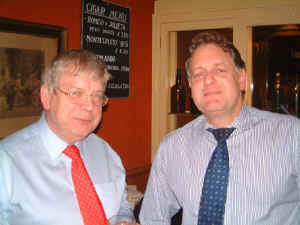 Mike Birkbeck and Paul Williams. 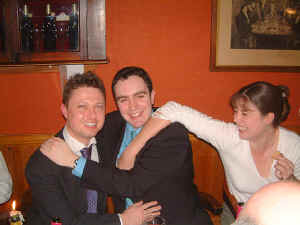 Not sure what is happening here... Dickon Love, Martin Cansdale and Emma Drury. 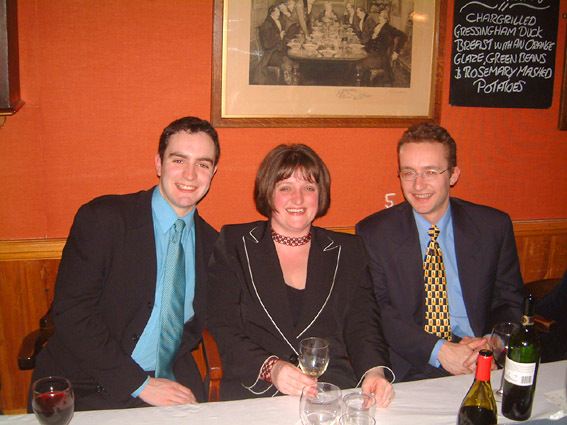 Martin Cansdale, Eleanor Kippin and Nigel Bailey. 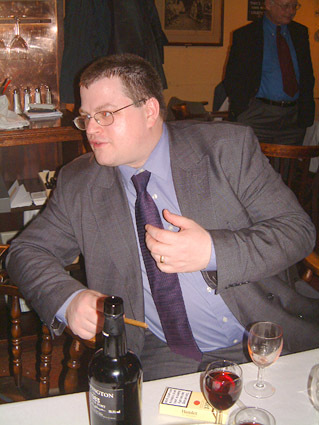 The Master, Colin Newman. 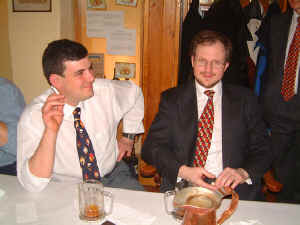 Phil Rogers with George Brown. David House and John White. 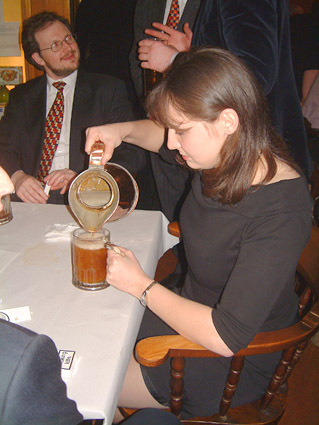 Rhiannon Meredith serves herself another beer. 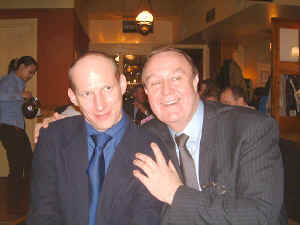 Jim Hardy and Jeremy Byers. 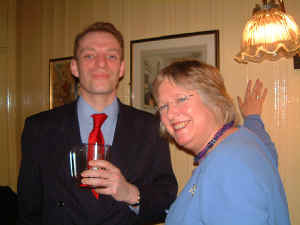 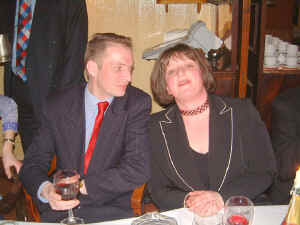 Paul Carless and Ann Wilby. 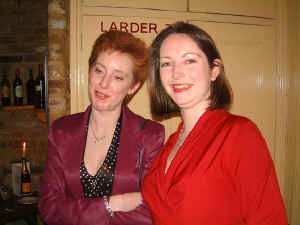 Jo Ainsworth with Vicky Halliwell.